This is the eighth blog post in this series about LXD 2.0. In the previous post I covered how to run Docker inside LXD which is a good way to get access to the portfolio of application provided by Docker while running in the safety of the LXD environment. One use case I mentioned was offering a LXD container to your users and then have them use their container to run Docker. Well, what if they themselves want to run other Linux distributions inside their container using LXD, or even allow another group of people to have access to a Linux system by running a container for them? Turns out, LXD makes it very simple to allow your users to run nested containers. The most simple case can be shown by using an Ubuntu 16.04 image. Ubuntu 16.04 cloud images come with LXD pre-installed. The daemon itself isn’t running as it’s socket-activated so it doesn’t use any resources until you actually talk to it. We detected that you are running inside an unprivileged container. you will not have enough uid and gid to allocate to your containers. 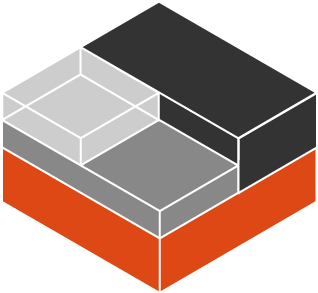 LXD can re-use your container's own allocation to avoid the problem. As this post is pretty short, I figured I would spend a bit of time to talk about the demo server we’re running. We also just reached the 10000 sessions mark earlier today! That server is basically just a normal LXD running inside a pretty beefy virtual machine with a tiny daemon implementing the REST API used by our website. The containers you then create inside this environment are all nested LXD containers. You can then nest even further in there if you want to. We are using the whole range of LXD resource limitations to prevent one user’s actions from impacting the others and pretty closely monitor the server for any sign of abuse. As I understand only directory (dir) is supported for the moment for nested containers. Installing zfsutils-linux and trying to use zfs is not possible because lack of /dev/zfs. For the nested containers, when is it expected to support zfs as storage backend? That’s correct, only “dir” works right now for nested containers. If /var/lib/lxd happens to be on btrfs and you passed the right mount option to btrfs on the host, then btrfs will be used too (that’s what we do on the demo server to minimize disk usage). As for zfs, right now their access control is entirely based on access to /dev/zfs. Last I talked with zfs upstream, they did mention planned work to support zfs inside containers with proper access delegation, but I have no idea as to the timeline for this. What is “the right mount option to btrfs on the host”? LXD can re-use your container’s own allocation to avoid the problem. Thanks, I’m sure that will be useful to some people! I guess so 🙂 Fixed! Is it possible to limit the number of container creation in nested lxd?